Mariette was born in Brazil and grew up on a dairy farm watching her grandparents and parents making artisanal cheese. 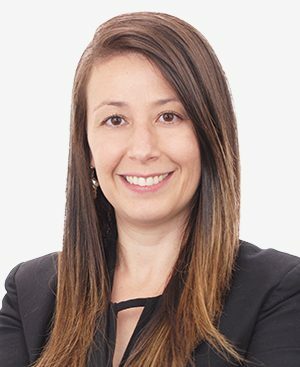 Mariette earned her Law Degree in 2006 and moved to Brasilia, Brazil’s capital where she was invited to become a partner at a well-known law firm at the age of 25. In 2009, Mariette married Isaac, an American man she had met when they were both 18 years old, and they moved to Minnesota to start their life together. While making a home for herself in a new country, she learned both English and Spanish. This led to her working as a market research analyst where she was able to utilize her language fluencies to conduct projects for global clients throughout The Americas and Europe. Over the last 9 years in MN, she and her family have had a variety of experiences with real estate. They have lived in a townhome, built two single-family homes, and most recently, moved into a former model home in Savage. These experiences, along with others, motivated her to learn about real estate and ultimately led her to a career as a Realtor. Isaac and Mariette have two children, Claire who is almost 6 and proudly headed towards 1st grade and Louie who is a walking and jabbering, happy 1.5-year-old. My dream job would be… as a play writer and director. My first job was… selling cheese door-to-door at the age of 11. When I’m not working, you’ll find me… touring new breweries with my husband, traveling, reading, and snuggling with my kids. My favorite vacation spot is… any small village in Europe. The best “unknown” restaurant I’ve been to is… Restaurant De Strooyen Hen, a Flemish restaurant in Poperinge, Belgium and St. Genevieve in Minneapolis. My favorite food is… cheese, lots of cheese… all the kinds of cheese on the planet!!!! and Brazilian churrasco.